"In a nutshell, what is the best way to go about beautifying my yard?" I am sometimes asked this rather broad question, and it's a tough one to answer. There are so many variables in do-it-yourself landscaping, such as budget, skills, the climate of your region, your personal design tastes, how you'll be using your yard, etc. But there are certain steps you can take that are so sound that they readily suggest themselves as answers to this question. Here's a can't-miss tip for beautifying your yard: make sure you're providing something of interest in each of the four seasons. Do-it-yourself landscaping for 4-season interest begins with a well-researched plant-selection plan. The goal is to have flowering trees and/or shrubs throughout spring and summer, fall foliage in autumn and good structure in winter. This article describes how to achieve that goal. Layer your flower borders in 3 rows: a back row (facing north, preferably) with the tallest plants, a middle row with the next tallest, and a front row composed of your shortest plants. Use repetition, both in the planting bed and elsewhere in your yard, to provide unity. Do-it-yourself landscaping tip #1 above focuses on deciduous trees and shrubs. But don't forget evergreens and other plants prized as much or more for their foliage as for their flowers. The deciduous specimens ​provide more color and variety, while the evergreens will provide continuity. Perennial flowers are wonderful for your planting beds, but they bloom for only so long. You may have perennials blooming in your bed in May, then nothing until July. Incorporating annuals into a do-it-yourself landscaping plan will "plug the gaps," giving you continuous color in the yard. Use my picture gallery to find ideas for your ​color schemes. The gallery is preceded by an introduction to employing color in landscape design. Don't restrict your do-it-yourself landscaping to plants. Include hardscape features, too. 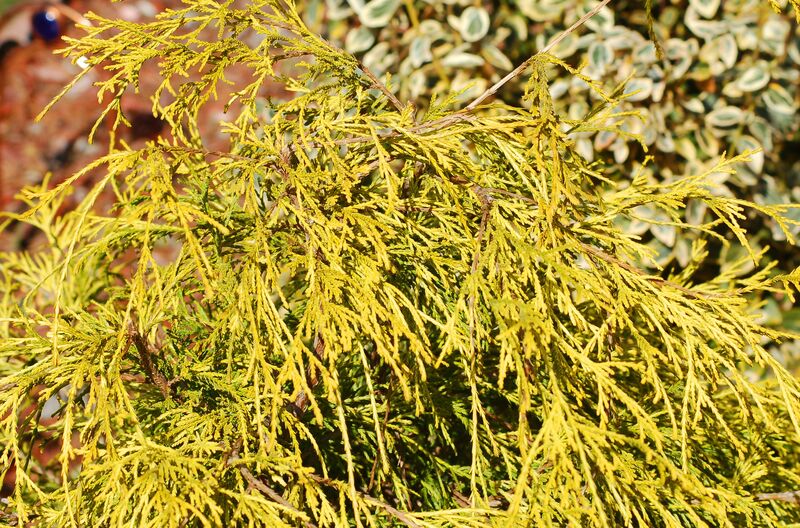 Like evergreens, they provide structure in winter and much more than that. Walls and ​fences make an essential design statement, as they frame your property. When I’m driving around the countryside, I’m constantly struck by how much more “finished” the properties with fences look. Decks and arbors are other important hardscape features. Patios and decks provide transitions from indoors to outdoors. Good landscape designs are anchored by focal points. One of the hottest trends is to use water features as focal points. This is one trend with "sound" reasoning behind it: water features are not only visually appealing but emit soothing sounds. Using pre-formed rigid plastic liners, durable pumps, flexible tubing and cheap fountains, they're also a lot easier to install than you think. Once you've experimented with ponds, you may even decide to advance to the next level: simple waterfalls. Flowers are great, but don't forget the characteristics of a plant's branching pattern and foliage. In landscape design, varying form and texture is one way to spice up a yard with diversity. Evergreen conifers, while lacking flowers altogether, nonetheless have foliage that offers a myriad of different forms and textures. While browsing these do-it-yourself landscaping tips, you'll discover many ways to enhance the beauty of your yard. You can follow all the above do-it-yourself landscaping tips and still not be happy with your yard. For, besides giving your yard a pleasing appearance, you must also be sensible in planning for its maintenance. Beautiful or not, you'll resent your yard if it causes you too much work. Unless you don't mind spending hours each weekend on upkeep, plan your design for low maintenance. Many novices at do-it-yourself landscaping start out with high hopes in spring, only to have them dashed in summer. Why? Because the summer heat wilts all of that promising spring perkiness out of their plants! The answer? Select drought-tolerant plants to grow, instead. Carefully matching the types of flowers you'll be growing with the space where they'll be growing is a fundamental policy to follow in do-it-yourself landscaping. Light and soil requirements should always be considered before deciding which types of flowers to buy for your yard.